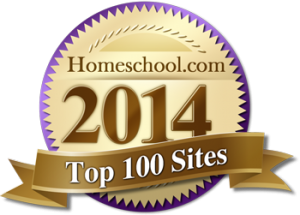 LetsHomeschoolHighschool.com is the premiere online destination for information, directories, and resources for high school homeschooling families. If you are currently, or are thinking about, homeschooling through the high school years, then we hope to be your main destination for gathering information about curriculum, planning, record-keeping, and post-graduation options. In addition, we offer networking and sharing opportunities for parents and students via our forums and social networks. This site is inclusive, which means we will be sharing articles and resources for Christian homeschoolers, secular homeschoolers, and everything before, after, and in between. Most of the articles and resources shared here will be completely religiously neutral, but if you want to check out specifically Christian or specifically Secular pieces, we have those tagged as such. We also have specific sections for those preferences in our parents forum. We will be highlighting news, articles, blogs, and resources that help keep you up to date with what is going on in the world of high school homeschooling. But that is only the beginning. We are constantly updating our directories to provide the most up-to-date information on high school homeschooling curriculum, dual enrollment, virtual schools, state-by-state athletic opportunities, and homeschool-friendly colleges. If it’s happening in the world of high school homeschooling, it is likely that you will hear about it at LetsHomeschoolHighschool.com. Be sure to sign up for our newsletter and to follow us on your favorite social networks to stay updated on the very latest from LHSHS. LetsHomeSchoolHighSchool.com is the leading directory and community for homeschoolers looking at high school and post high school options including traditional schools and emerging range of new options. If this sounds like a focused niche, it’s true but remember that 3% of the K12 students in the US are homeschooled. It’s big! There is no single school district in the country which has as large a student body as the homeschool population. While homeschoolers are typically hard to reach as a fragmented community, LetsHomeSchoolHighSchool.com has struck a chord in providing valuable information on what a high school program should consist of, what colleges and careers are looking for from homeschoolers, and how does the new era of education, certification, and career paths look like. The site deals with both high school and post high school college and career planning issues. It’s become a truism that the future is already here, it’s just lurking in the shadows. LetsHomeSchoolHighSchool is a leader in helping families develop customized educational and career paths for their students and embracing the new possibilities. 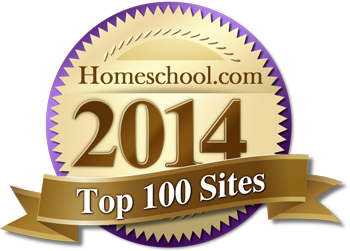 LetsHsHs.com offers advertisers a wide range of opportunities to reach the fast-growing homeschooling market. Grab the code below to add our button to your blog or website! LetsHomeschoolHighschool.com is owned by Vkidz Inc. which also owns Time4Learning.com, Time4Writing.com, and other educational and community sites. Other groups interested in providing long-term support to LetsHomeschoolHighschool.com should contact us.